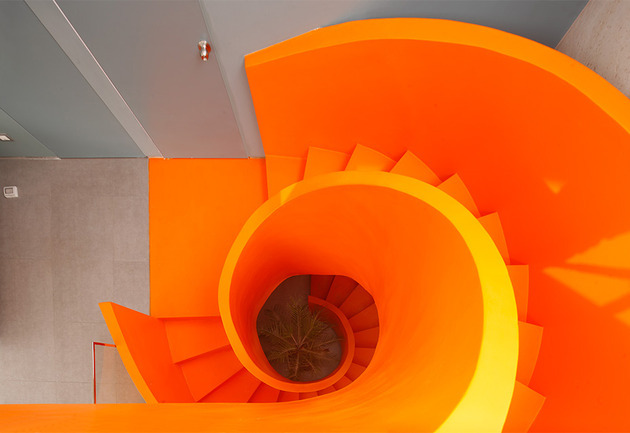 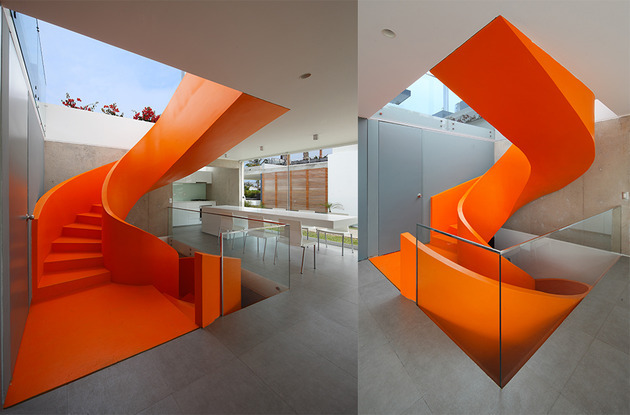 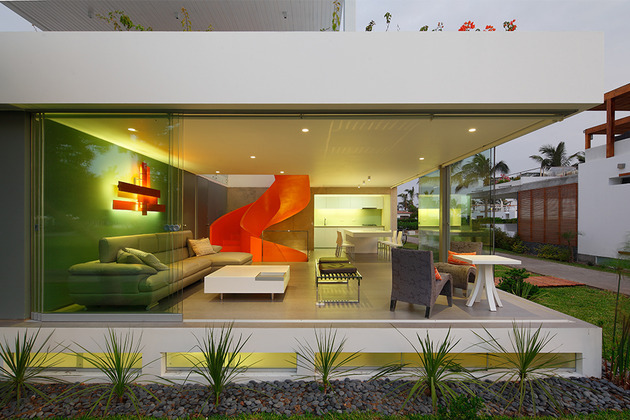 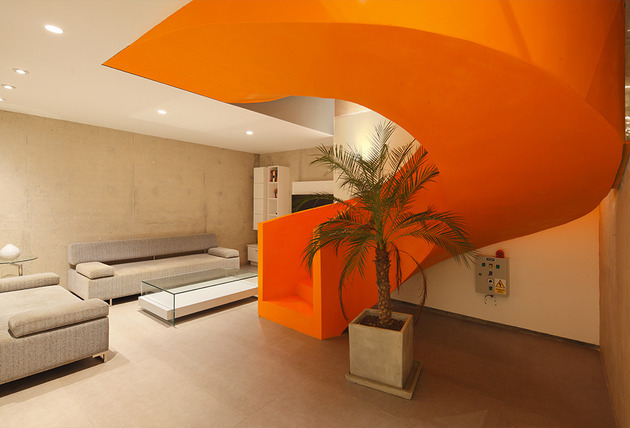 This contemporary orange staircase makes a beautiful statement in this home in Lima, Peru. 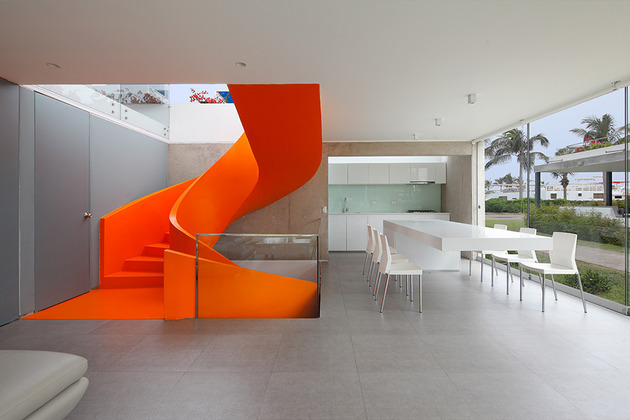 The home is called “Casa Blanca”, referring to everything but the staircase. 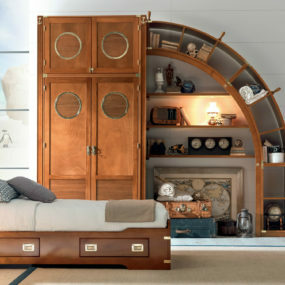 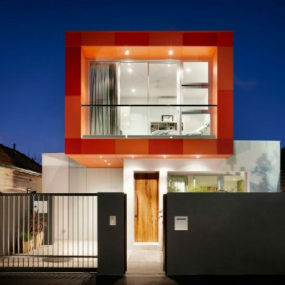 Visible from outside, it’s a bold feature. 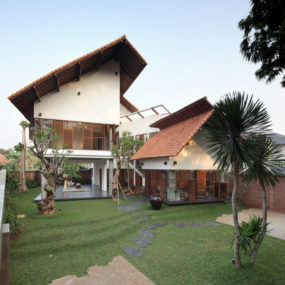 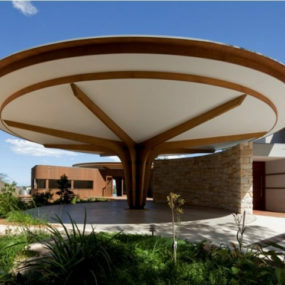 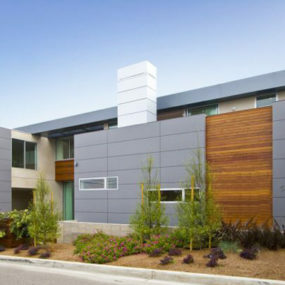 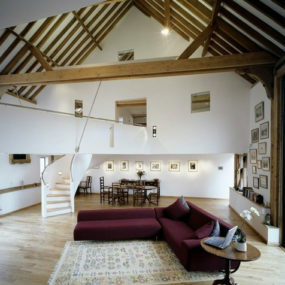 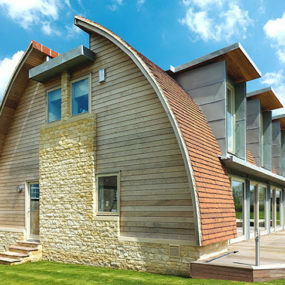 It curves and unwinds from the second floor and creates a focal point for the entire construction. 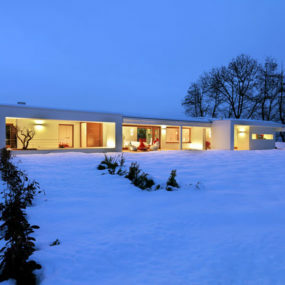 The architect, Martin Dulanto, created the house to look like a single block that had been excavated in one piee. The central patio allows all three levels to be connected by this abstract orange staircase. Full of natural light thanks to the glass exterior, the staircase is the central core of this home, a striking focus for a modern building. 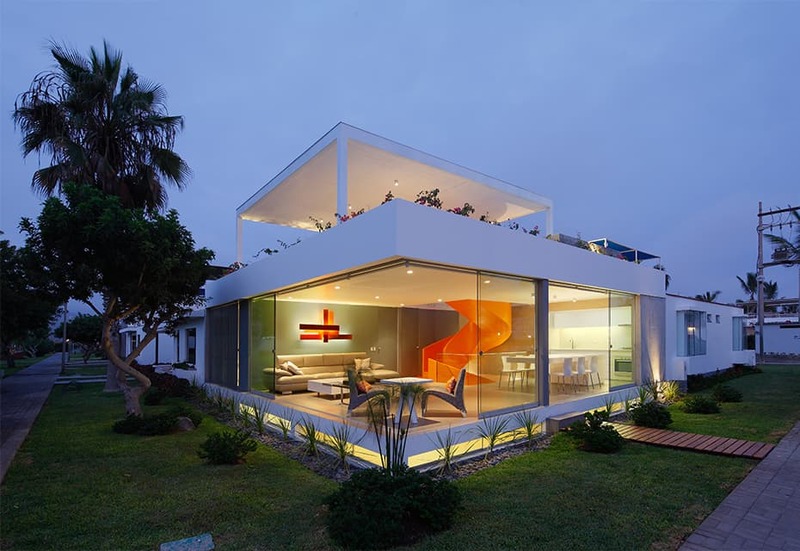 And there’s one thing for sure about Casa Blanca. 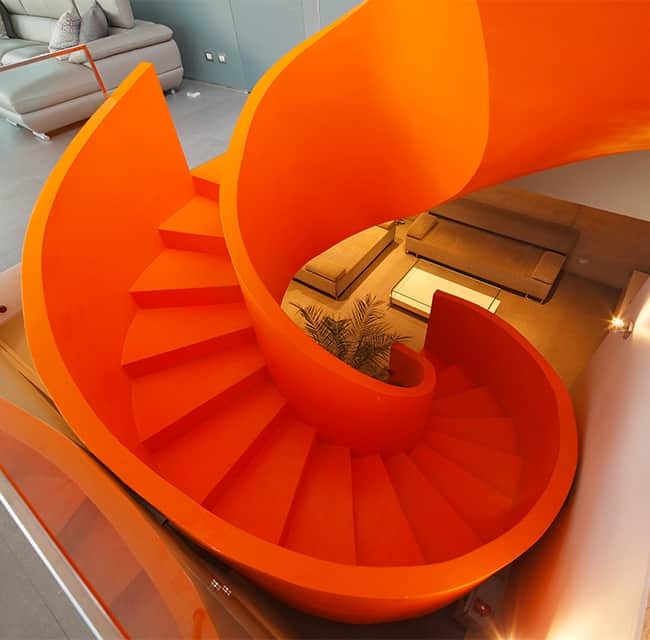 No one ever forgets the iconic orange staircase.